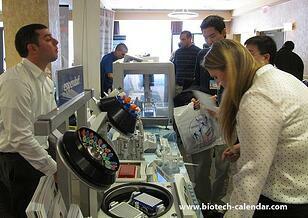 The BioResearch Product Faire™ Event at Longwood Medical in Boston. Harvard University is a nearly 1 billion-dollar player in a multi-million dollar life science research marketplace and right next door is Longwood Medical. Lab suppliers will want to take advantage of this huge market by exhibiting at our upcoming Boston event on Wednesday, June 10th, 2015. By exhibiting at the event, lab suppliers will be able to meet with over 200 active life science researchers who are interested in finding new lab equipment that can help them with their research projects. This is a popular event both with lab supply companies and researchers, and both will benefit from attending the upcoming event. See more pictures from the 2014 event at the photo gallery here. 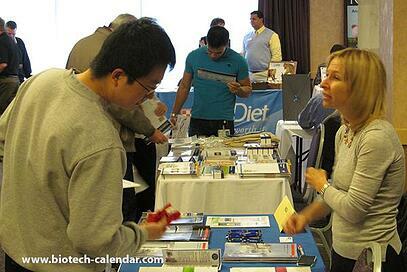 At last years event, 215 Harvard University researchers attended. 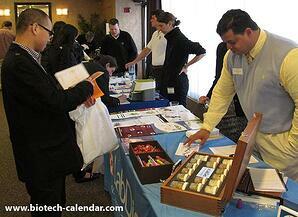 Of these attendees, 83 were purchasing agents, professors and post docs, and 20 were lab managers. That makes 38% of the attendees at the event decision makers! These attendees came from 27 different research buildings and 53 on-campus departments. With $330.8 million NIH funding in 2014, and $480.4 million in R&D expenditures, plus private funding from foundations and individuals, Harvard is a large and growing market opportunity for lab supply companies looking to expand their reach. Philanthropist Len Blavatnik recently donated $50 million in a multi-year grant to Harvard to fund scientific research. On top of that, the Harvard Medical Center for Biomedical Informatics received 2 grants totaling $28 million to continue the study of neuropsychiatric illness and new approaches to precision medicine. $11,164,583 for the Cancer Center Support Grant at the Dana-Farber Cancer Institute. Given Harvard University’s groundbreaking research and impressive life science funding statistics, it’s clear that Harvard University is a market with a lot of potential for sales leads at life science events. 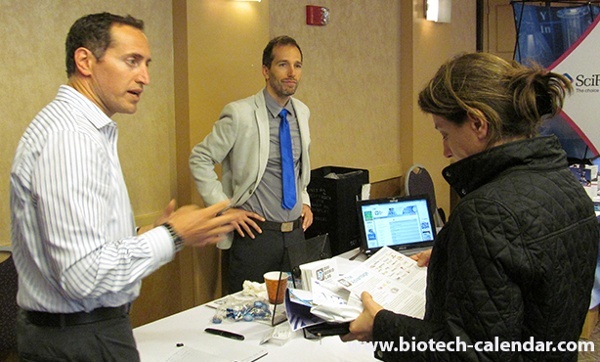 Biotechnology Calendar, Inc. invites lab suppliers to network with others in their field at our Boston BioResearch Product Faire™ event on June 10, 2015. Want to learn more about the Longwood Event and get more Boston area funding statistics? Click the button below and join other top lab suppliers in bringing the best new tools and technologies to Boston area researchers in 2015 at the 9th annual Longwood BioResearch Product Faire™ Event. Researchers in Boston can pre-register for the event by following the link below. Registration is free for Boston area researchers, and pre-registering will save time at the door.